Located only minutes from National Harbor and only 20 minutes from Alexandria and Washington DC, National Golf Club is the perfect venue for the wedding of your dreams. Whether you are planning a bridal shower for 30 or a wedding for 200 guests, the Club's professional staff will assist you with every detail to make it memorable. 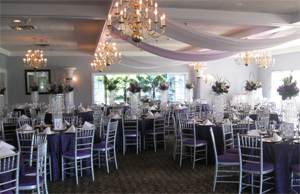 Surrounded by rolling hills and spectacular views of the golf course, National features a beautiful outdoor ceremony site and an elegant Grand Ballroom. The formal Dining Room offers an intimate setting for bridal events and cocktail hours for up to 65 guests. 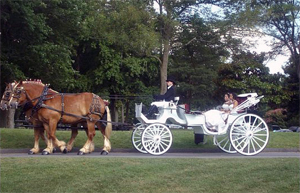 A complimentary bridal suite is available for you and your bridal party for all weddings. 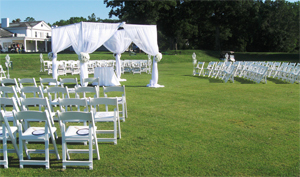 National provides a wide range of all-inclusive wedding packages simplifying the planning process for you. We take pride in delivering excellence to our clients at an affordable price and will work with you to create the perfect package that fits your needs and budget. Let us create the perfect blend of sophistication, elegance and warmth to match your personality and style. You do not have to be a Member of the Club to host a private event.